Autistic children Dubai: Autism defines children at a behavioral level but is associated with multiple etiologies. However, all have deficits in social behavior, cognition, and communication. 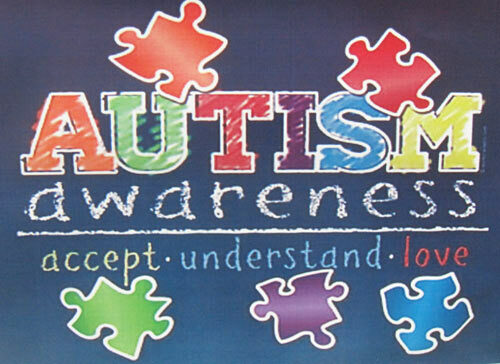 The hallmark of Autism Spectrum Disorders (ASD) is a disturbance of social development. As Wing (1981) noted, it is the underlying social difficulties, which impacts the interpersonal relationships, communication and contributes to the inflexibility of behavior and thinking. The resulting social impairment leads to socially inept behavior in the child with ASD. At the superficial level, this implies seemingly odd or irrational behaviors. At a more profound level, social difficulties encompass the individual’s understanding of how the world functions. This is caused by the fact that many of the children are unable to be part of social units like mother-child, family, friends, and community. This inability reduces opportunities for social transactions, which further affect social development. Hence a relatively small social disability has a pervasive effect on the later social development, which gradually becomes profound. 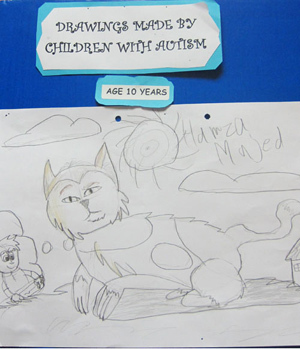 Autistic children Dubai: How does this affect my child? The social impairment impacts almost every aspect of the child’s functioning, whatever his or her intellectual ability (Howlin 1998). It can lead to inappropriate and unacceptable behaviors in various social situations, causing the child to be ostracized. It can also lead to deficits in socialization with difficulty in interacting with people and making friends. In normal development, social responsiveness is seen as early as 2 – 3 months when a baby smiles at its caregiver. It responds to its own name by 7 – 10 months and waves goodbye by 9 – 12 months. The perceptual ability enables children to learn how to respond socially. At 18 – 24 months they perceive when they are hurting others and either repeat the act to check on the response or comfort them by kissing, stroking or appeals for help. They start to perceive social rules and who transgresses them. They also become aware of others feelings and attempt to comfort others in distress. Around this age they start using humans as social tools – appealing for help, using their perception as a reference point and draw their attention to others breaking rules. Toddlers also develop a pro-social act of sharing. The whole gamut of social responses appears to be disrupted in ASD, even when they may be functioning well in other areas of life like self-help skills or academic tasks. Understanding others is an important mechanism by which humans blend together in groups, families, and communities. It allows learning of self-control co-operation and collaboration. Individuals with ASD have difficulties understanding others from a very young age. As early as one year children are aware of anger in others and show distress whilst 18 months old rarely ignore disputes in others and by 3 years children draw the attention of adults to transgressions of peers. Two-year-olds can recognize and empathize with distress in others whilst three years old is also aware of what situations gave rise to that distress. (Jordan, R. Unit 2, Social & Emotional Needs, 2000). Children with ASD do not distinguish well between objects and people and also behavior between people and people. They do not perceive people’s feelings and appear to lack empathy. 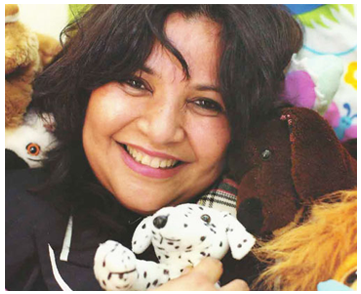 Autistic children Dubai: What will happen? They fail to develop a sense of oneself or personal agency (Russell 1996). In the same way, they do not develop the concept of others and their ‘selves’ as described by Frith (1989) in the concept of ‘Theory of Mind’. Theory of Mind or Mentalising ability is a complex social skill. (Jordan, R. Unit 2, Social & Emotional Needs, 2000). It differs from superficial social competence, which includes behaviors like gaze contact, imitation and turns taking. Theory of mind is awareness a child develops that other people have a variety of mental states. Language and communication problems are one of the defining characteristics of autism (Coupe Okane Goldbart 1998). The range of language and communication skills varies tremendously across the continuum. It is clear that the fundamental problem lies in communication rather than language per se. Non-verbal forms of communication are affected and even when language is present, its use as a communication tool remains poor. In the normal developmental pattern, communication precedes language and is the prime reason for learning it. This pattern is disrupted in autism leading to delay and deviant language development. It is not mere acquisition of language structure, which may not be well developed, but rather its use and meaning, which is affected (Coupe Okane Goldbart 1998). Early communicative consists of shared attention, imitation, turn taking, social organization, mutual gaze, communication intention, and communication comprehension. These behaviors are deviant or delayed in autism. Shared attention is seen very early. Around 9 – 14 months infants show clear signs of wanting to share other people’s attention, indicating joining points of reference (such as the light or fan). Not only do they indicate the objects but also at the same time look at people as if to check whether they too are interested and perhaps looking at the same thing (Mundy and Sigman 1989), something that children with autism cannot do. The process of imitation is crucial in developing an understanding of others (Bremner 1988). Imitation is the earliest form of social interaction. True imitation occurs when the child can decide which action or sound is to be copied. It is at this level of imitation that the child understands the concept of others at a cognitive level. Imitation is almost always active and creative. It is never a perfect copy. Imitation is also fundamental to the development of the representation of language (Piaget 1951). Individuals with ASD may have a ‘parasitic’ quality to their imitation i.e. they exactly copy the perceptual features of the behavior. Robson (1967) noted that mutual gaze was a fundamental form of human communicative behavior and lent a framework to other modalities of communication. The child and adult spend periods of intense eye-to-eye and face-to-face communication (Brazelton 1979). The reflexive gaze is modified into gaze coupling which is a turn-taking interaction that resembles later gaze patterns seen in mature conversation (Jaffe et al 1973). Individuals with ASD, whatever the intellectual level, show disruption of mutual gaze in early development. Gaze avoidance or excessive/inappropriate use of gaze is part of the clinical picture of ASD. A variety of social organizational strategies is used for communication (Coupe Okane Goldbart 1998). These are needed for initiating, maintaining or terminating a communication like calling out, question/answer, breaking off the conversation or repairing misunderstandings. Skills acquired through infancy through interpersonal interactions underpin the skills needed for these conversational and discourse management (Coupe & Jolliffe 1988). Individuals with ASD lack strategies to organize communication. It is probably more evident in high-functioning verbal individuals who are capable of conversation. The turn taking that is seen in a social interaction or dialogue starts with the adult leaving space for children to fill their turn with sounds or actions. Individuals with ASD have difficulty with turn taking at a very early age, both in vocal interactions but also in physical tasks. Communication intention is the reason or goal of communication in the mind of the speaker i.e. the why one communicates. Children initially use situational cues and gestures to assist comprehension. The comprehension gradually depends more and more on linguistic input. Some examples of communicative intentions are drawing someone’s attention to an object or making a request or giving information (Okane & Goldbart 1998). Others include gaining attention for communication like a tap on the shoulder, drawing attention to something to another person like saying ‘oh look’, and intention to regulate social contact. 80-90 percent of children with autism could be discriminated from other developmental disorders by their impaired joint attention skills (Lewy and Dawson 1992). With impairment in perception and mentalizing ability, individuals with ASD lack communication intentions, which adds to their social impairment. Comprehension in context starts in the first 6 months of life where infants start to ‘read’ the signals and expressions of other people’s behavior. It gradually develops into a highly developed area of expertise, which allows individuals to extract meaning from the adult’s intonation patterns, voice quality, and facial expressions. The individuals with ASD will have difficulty in all the areas of early communicative behaviors affecting their language development, socialization and their ability to express themselves. If you like what you have seen or read about autistic children Dubai, please share it with your friends by clicking on one of the social media buttons below.